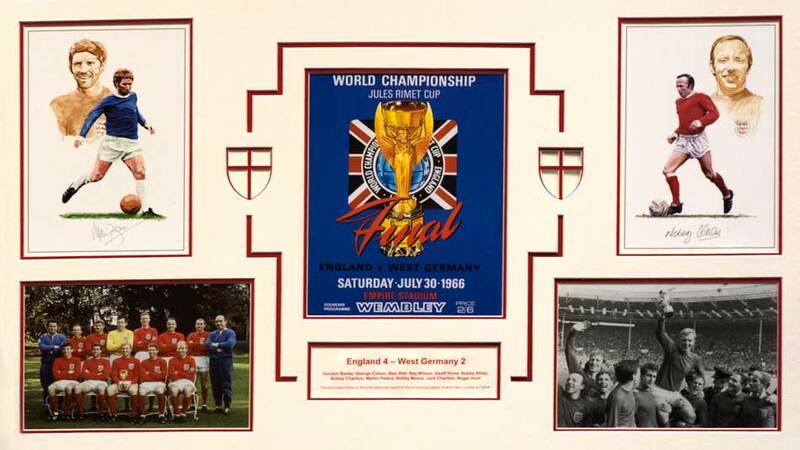 A limited edition personally signed by the ten surviving players. be sold first come first serve. This unique item of memorabilia is mounted measuring 101x 81cm. Signatories: Gordon Banks, George Cohen, Alan Ball, Ray Wilson, Geoff Hurst, Nobby Stiles, Bobby Charlton, Martin Peters, Jack Charlton, Roger Hunt. Order this exclusive one-off piece now for it to arrive in time for Christmas!